The Lok Sabha member from Srinagar had raked up controversy last week when he said that PoK belongs to Pakistan and it won't change even if the two countries fight wars against each other. 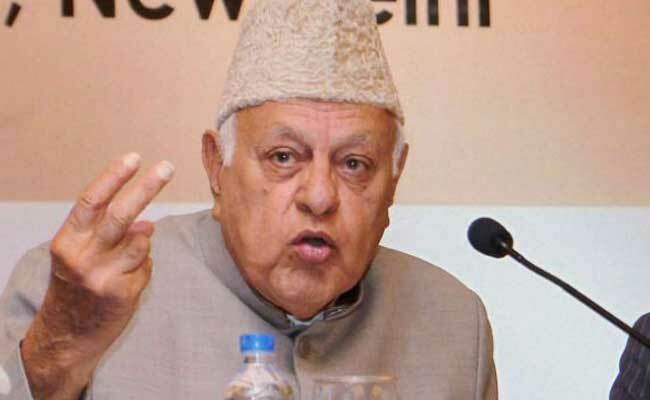 Bettiah, Bihar/ Srinagar: A court in Bihar has ordered that an FIR be lodged against National Conference (NC) chief Farooq Abdullah over his controversial remarks on Pakistan-occupied Kashmir (PoK). "On November 12, there were reports in the media that Mr Abdullah had said PoK was a part of Pakistan. The comment was seditious and hence, a petition was filed, praying for directions to the police to lodge an FIR (First Information Report) against him," Mr Ali said. Mr Abdullah today made another controversial statement saying Pakistan was "not weak to allow India to take that part of Jammu and Kashmir under its occupation". He said 70 years have "passed but they (India) could not get it (PoK)". "I tell them in plain terms -- not only the people of India, but also to the world -- that the part (of Jammu and Kashmir) which is with Pakistan (PoK), belongs to Pakistan and this side to India. This won't change. Let them fight how many wars they want to. Both sides need to talk about the situation so that we live in peace," Mr Abdullah had said. Reacting to Mr Abdullah's statement, Congress spokesperson R P N Singh said in Delhi that Jammu and Kashmir is an integral part of India and will always remain so.